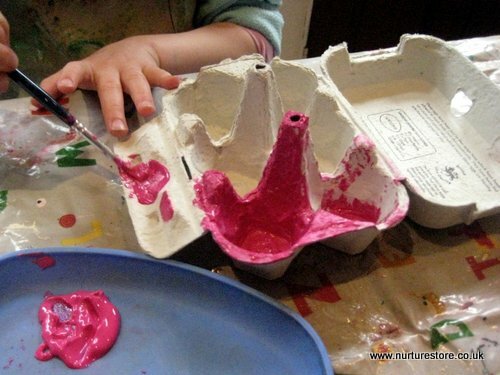 We’re joining in with TinkerLab’s Creative Challenge today with an egg carton treasure box make-over. As soon as Rachelle laid down her challenge to see what we could make with egg boxes my girls were united and divided. Both wanted to make treasure boxes, but each with a very different style to match their individual passions. My princess-loving 5yr old made a treasure box fit for the crown jewels, while my adventurous 9-year-old went for a pirate box. 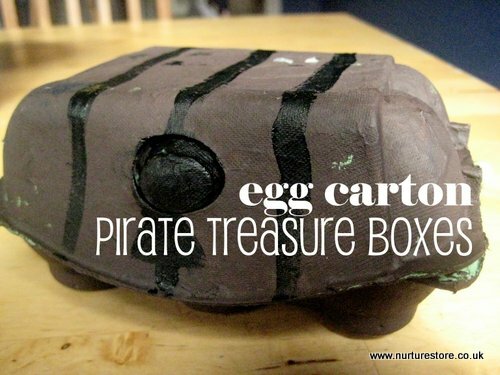 Here’s how they transformed their egg cartons. Take a cardboard egg carton and peel off any packaging labels. Select your colours. We used acrylic paint for a good coverage. The princess went for red outside and pink inside. The pirate went for brown all over. We left the boxes to dry over night and then added the finishing touches. 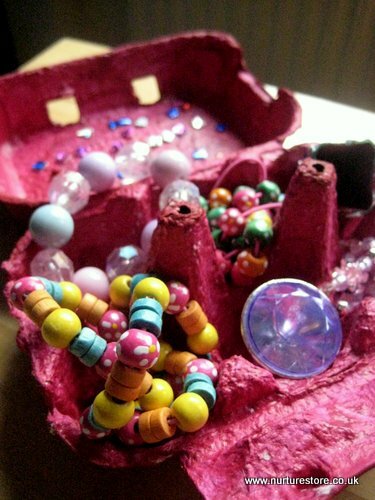 The princess used mosaic stickers to decorate the lid of her egg carton jewellery box. 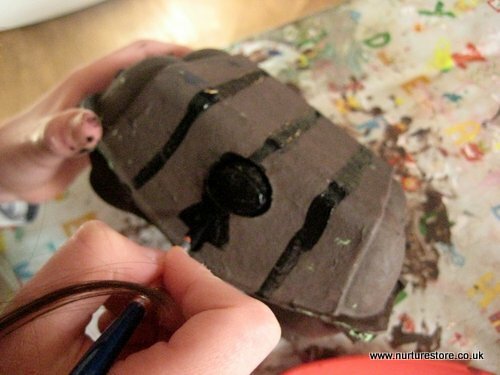 The pirate used black paint to add her details. Both girls decided their treasure chests needed filling with some extra goodies. 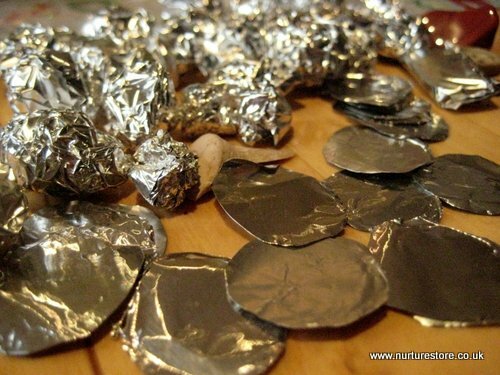 The pirate made silver nuggets and coins from tin foil. 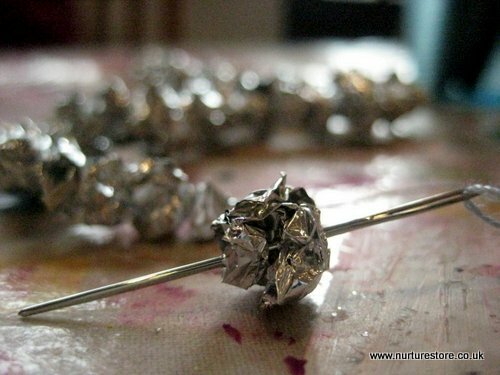 The princess made little silver beads from her tin foil and then threaded them together to make a bracelet. 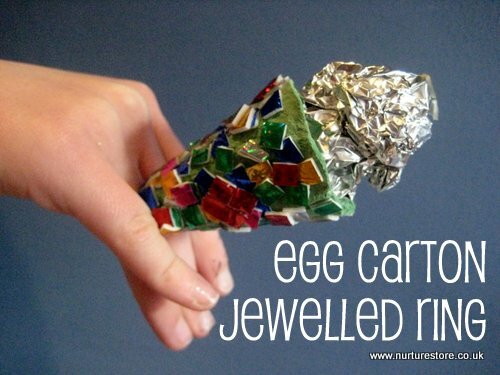 And she used the pointed part of an egg carton to make a ring – painted inside and out, with extra jewels stuck on. A pipe cleaner threaded through the end turned the gem into a ring. What could you make from an egg carton? 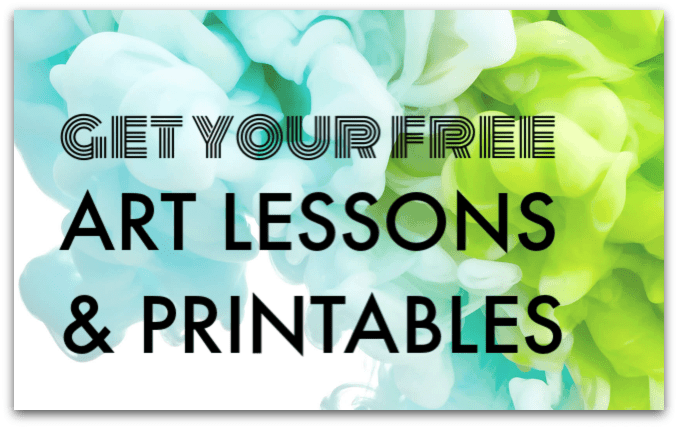 Hop over to the Tinkerlab Creative Challenge to see a fiesta of other egg carton creations and link up an idea of your own. How creative!! We accumulate lots of treasures, so it’s great to have this as an idea for storage! Love the little treasure box. They can have different compartments for various treasures. That ring is SO fun! How creative. 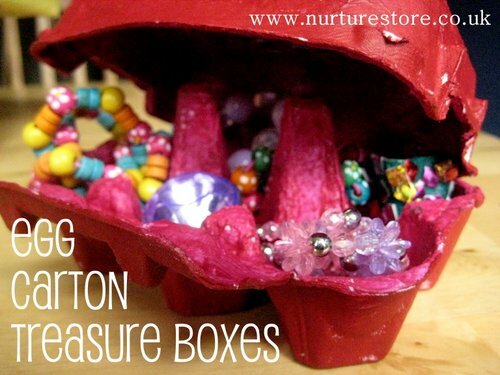 This would actually make great storage for all of the little’s jewelry. It would keep it separated and organized. And she’d love to paint it herself. Thanks for the inspiration and for sharing on the Kids Co-Op.